Special Operation 5 Mission Tips ; How to complete spec ops 5 and unlock valkyrie easily. First of all, make sure not to collect your UISO-8 from free gifts just yet as you will need it to complete task 7. Since mission 1 contains the Epic boss, you have the option of going after it if you want. If you do, you might as well complete task 2 in SpecOps, otherwise you can do it outside of it. Task 1 requires you to beat 3 prisoners, which you can do by beating a medium and low threat or two low threats. Once you completed task 2, you need to face a mini-boss for task 3. Wrecker should be the first mini-boss that shows up, so defeat him as soon as he appears. For task 4, defeat any combination of high and medium threats to complete it. Then you should be able to two-bird Enchantress to complete task 5. Start the research and wait for the timer to end to complete task 6 and if you followed my instructions, you should be able to collect 10 UISO-8 from free gifts to complete task 7. You will need to defeat a mini-boss in mission 2 in order to complete task 8. I decided that the best way to do this was to three-bird the boss battle after taking the optimum path, which doesn't require any deploys. Be prepared when fighting the boss battle though as all three villains takes two turns in a row. Task 9 requires you to replay mission 1 again in order to use Valkyrie's abilities and a couple task after that requires that you start a research with 80 UISO-8. It's probably not a good idea to do an epic run again if you don't have at least 230 UISO-8 (150 is needed to 3-bird the main boss battle, then 80 is needed for the research). After you complete task 9, task 10 should automatically be completed for you. Then you can start your research for task 11. Task 12 is just a repeat of mission 2, following the optimum path once again. You can clear battles up to the main boss while you wait for your timers to finish. And for task 13, hopefully you will have 3 distress calls available to be collected from friends. While you are waiting for the research to finish to complete task 11, you can get started on task 12. Task 12 requires you to defeat Executioner in mission 2. You can start to clear most of the threats, but leave the main boss battle alone until after you receive task 12. And for task 13, hopefully you followed my preparations above and you will have 3 distress calls available to be collected from friends. 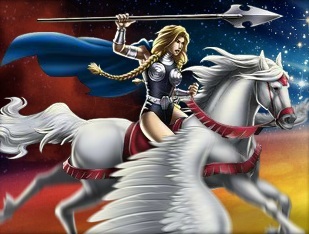 Task 14 can be performed outside of SpecOps, just bring Thor and/or Sif into any battle and it will count. If you don't have either, you can find them in normal missions 1.4, 1.5, 5.1, 5.5, 7.4, and 8.6. Task 15 should be simple enough, just collect from 3 remote ops. If you're like me, you will have run out of UISO-8 and need to wait a couple of days before you can start the next research. If you haven't done so already, there are some free UISO-8 links near the top of this post which might help speed the waiting process. On the day that the timer for the research ends, do not collect at least 20 UISO-8 from free gifts as you will need them to complete task 19 (at least keep in mind that you will need to collect 20 UISO-8 in the future). While waiting for your research to finish, you can get started on task 17, which has a glitch (see above or here). You can go back to mission 1 if you want, but I suggest tackling mission 3 and using Valkyrie in the main boss fight there. Whatever you do, do not fight the main boss fight until after you receive task 17. The task says to use Sacrificial Blessing in battle, but since it's glitched for the time-being, you can use her 2nd ability, Dragonfang. Here we will be replaying mission 3 in a single run. Task 18 requires you to defeat illusionary Lokis in battle. So first thing you want to do is enter and abort mission 3 until a medium threat battle appears with Loki? in it. Fight through more threats until you are able to complete task 18. Hopefully you remembered to not collect 20 UISO-8 from free gifts so you can finish task 19. Task 20 requires you to defeat 4 members of the Wrecking Crew. While you could defeat the mini-bosses, you can save yourself the UISO-8 and fight them in Chapter 5 Mission 3 where they will all appear. Task 21 requires you to win a PVP battle, which I believe should also work in practice battles. Task 22 requires you to use Valkyrie's 4th ability. I will advise you to face one of the mini-bosses as she appears as a team-up in them. The reason for that is because task 23 requires you to defeat Loki, who is the main boss of mission 3. Once you have completed task 23 and exited the mission, you should have at least 3-star mastery in all three missions and task 24 will automatically be completed. Go on an epic run in mission 1 to defeat Destroyer. These heroes are needed for deploy: Beast, Kitty Pryde, Storm, and Wolverine. In order for Destroyer to appear, you need to complete all of the deploys and defeat all of the threats. That's it, enjoy Valkyrie! i cant finish task 24..i already have 5 stars in spec ops 5..1 in chapter 1, 2 in chapter 2 and anothter 2 in chapter 3..i really need help finishing the task..thanks..
i dun think that is the way... but worth to give it a try.